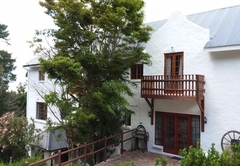 De Molen Guest House is a guest house with self catering option, providing accommodation in Somerset West for tourists visiting the Cape Helderberg region. 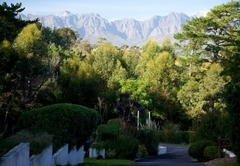 Situated high up and surrounded by the Helderberg Mountains is our peaceful and secure country estate. 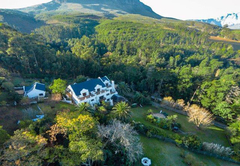 Boasting sweeping views of the sea, mountains, forests and winelands, we offer affordable bed and breakfast rooms and self catering family units. 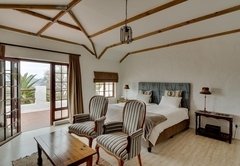 The rooms are furnished with either King-size or twin beds and have en-suite bathrooms with bathrobes and bath amenities. Most rooms have a balcony or private terrace. 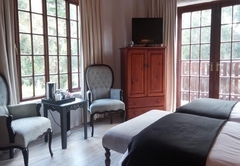 Room facilities include coffee / tea making facilities, fridge, DStv, underfloor heating, a safe and a hairdryer. 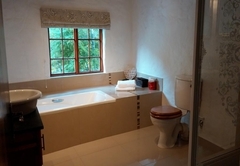 This value for money room has a King-size bed and an en-suite bathroom with a shower only. The room also has a terrace. 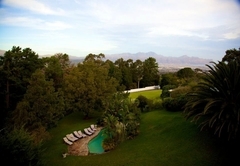 Boasting a beautiful view, the room has twin beds (King-size bed on request) and an en-suite bathroom with a shower. This room has a balcony. 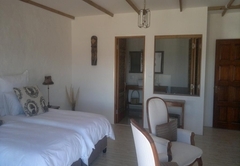 This extra spacious room has a king-size bed (twin on request) and a full en suite bathroom. 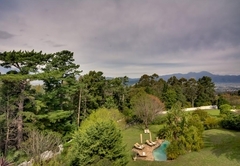 The terrace has sea and mountain views. 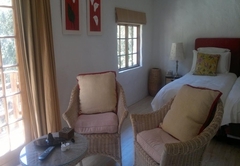 This spacious room has a King-size bed (or twin beds on request) and a full en-suite bathroom. There is a terrace. This family room has a large, full bathroom. There are two balconies with mountain views and a basic kitchenette. 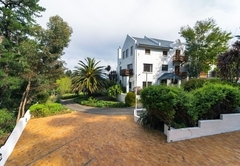 A King-size bed can be found downstairs and loft has two single beds, suitable for children. 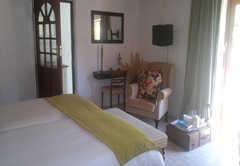 This one bedroom cottage has offers a fully equipped kitchen / living area with a fireplace, King-size bed and en suite bathroom with shower. There is also a terrace with a braai area. This spacious family room has a large full bathroom. 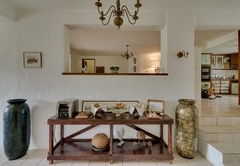 It has a terrace with stunning sea and mountain views, as well as a basic kitchenette. 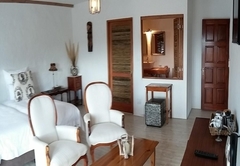 A King-size bed is located downstairs and the loft has two single beds, suitable for children. 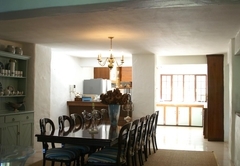 The thatched family cottage offers a large, fully equipped kitchen, a living room and fireplace. 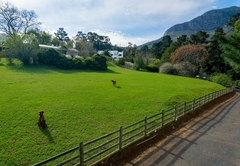 There is one King-size bedroom and one twin bedroom, as well as a bathroom with a shower and outside area with a braai. 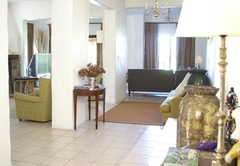 Our family apartment offers a fully equipped kitchen and spacious living area. One bedroom has a King-size bed and the other has two twin beds. 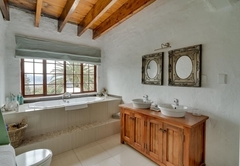 There is a bathroom with a shower and a large, private outside area with braai. In summer, breakfast is served on one of our large sunny terraces and in winter, breakfast is served inside in the breakfast room. On request we can also serve breakfast on your own private terrace / balcony or in your room. 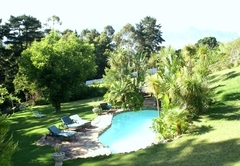 Breakfast is served daily from 08h00 to 10h00. 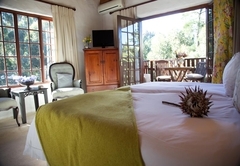 Our value for money standard room offers all comfort with a king-size bed, en suite bathroom with shower and a terrace. 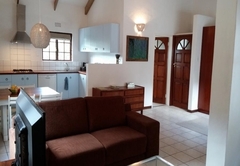 Airconditioning, underfloor heating, DSTV, free WiFi, fridge, and a coffee station. Breakfast as optional extra . 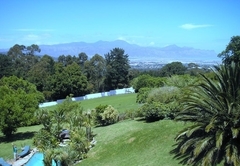 Spacious with stunning view luxury room with twin beds (king on request), en suite bathroom with shower & balconies. 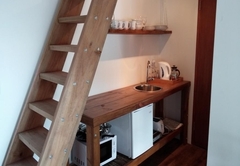 Air-conditioning, underfloor heating, DSTV, free Wi-Fi, fridge, kettle and coffee tray. 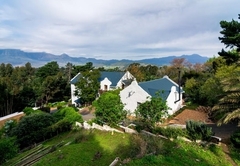 Extra spacious room with king-size bed (twin on request), en suite bathroom with shower and bath and a terrace with superb sea- and mountian views. 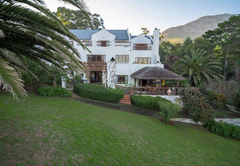 Air-conditioning, underfloor heating, DSTV, free WiFi, fridge, kettle and coffee station..
Mountain View extra spacious room with king-size bed (twin on request) en suite bathroom: shower & bath. Terrace. 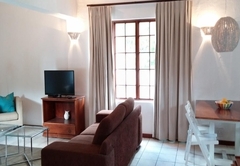 aircon, underfloor heating, DSTV, free Wi-Fi, fridge & coffee station and bathroom amenities. Accessible to the mobility challenged. 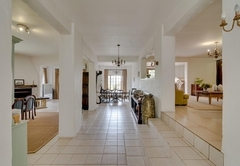 This spacious family room offers a large bathroom with bath & shower. 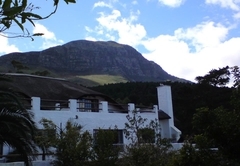 It has 2 balconies with stunning mountain views and a basic kitchenette. A kingsize bed is located downstairs. 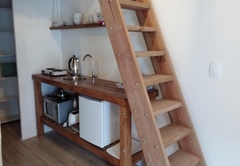 The loft upstairs has 2 single beds, suitable for children. 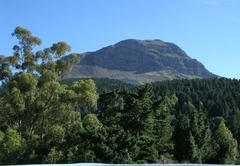 Spectacular mountain view from the highest point of the property, this 1 bedroom cottage offers a fullly equipped kitchen/living area with a fireplace, a king-size bedroom and en suite bathroom with shower. Terrace with BBQ area. 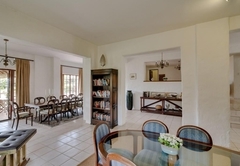 This spacious family room offers a large bathroom with bath & shower. 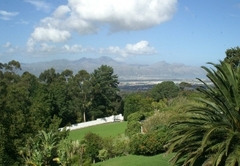 It has a terrace with stunning sea & mountain views and a basic kitchenette. A kingsize bed is located downstairs. 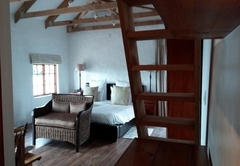 The loft upstairs has 2 single beds, suitable for children. 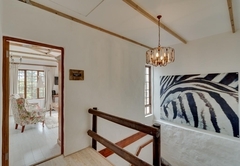 Next to our orchard with beautiful views, our romantic, thatched family cottage offers a large, fullly equipped kitchen, living room & fireplace, 1 king-size bedroom and 1 twin bedroom, a bathroom with a shower and outside area with a braai. 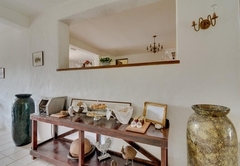 Our family apartment offers a fullly equipped kitchen and spacious living. 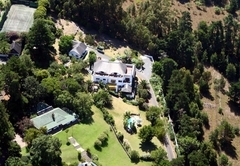 1 King-size bedroom and 1 twin bedroom, a bathroom with a shower and a large private outside area with a braai. 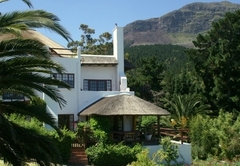 Response timeDe Molen Guest House typically responds to requests in 5-10 minutes.